Welcome to Ashcroft, a limited home site, large lot community. Tucked away off McKinney Rd just minutes away from Five Forks and the lovely downtown of Simpsonville. You will love the quiet country feel so close to shopping and dining. 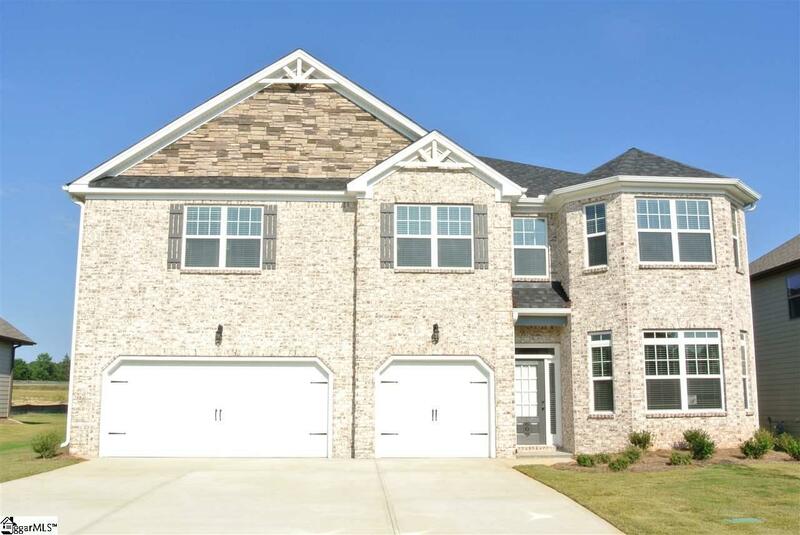 The Benjamin is a beautiful home featuring a Master on the Main, 3 car garage, with 5 bedrooms, 3 1/2 baths, a laundry space on each level, and a storage space mudroom entry from the garage. Along with the light filled, trey ceiling master suite on the main floor, there is an office with a bay window at the front of the home. The heart of the home is very open, with your elegant kitchen looking out to your dining room and coffered ceiling living room featuring a stone surround gas log fireplace. Our gourmet kitchen package is standard and includes a gas stove top, double ovens, beautiful Aristocraft cabinets and granite countertops, as well as a large walk in pantry adds more storage options. The perfect entertaining space or just relaxing for a quiet evening at home. At the top of the stairs you will see how the space opens up into a huge lot that has boundless options for use by any homeowner! Along each side of the loft space find matching bedrooms with Jack & Jill bathrooms between them for a total of 4 bedrooms and 2 baths. A fully sodded lawn and irrigation system are included as well. There are boundless possibilities with this incredible home!